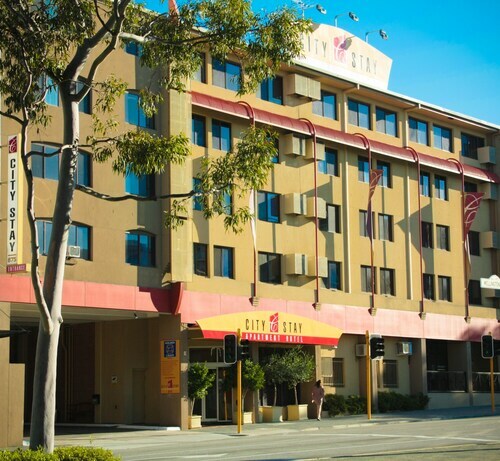 Situated in West Perth, this hotel is within 1 mi (2 km) of Harold Boas Gardens and RAC Arena. Kings Park and Botanic Garden and Elizabeth Quay are also within 2 mi (3 km). Perth City West Station is 11 minutes by foot and West Perth Station is 12 minutes. Located in the heart of West Perth, this hotel is within 1 mi (2 km) of Kings Park War Memorial, SCITECH Discovery Centre, and RAC Arena. Kings Park and Botanic Garden and WACA are also within 3 mi (5 km). West Leederville Station is 17 minutes by foot and Perth City West Station is 18 minutes. 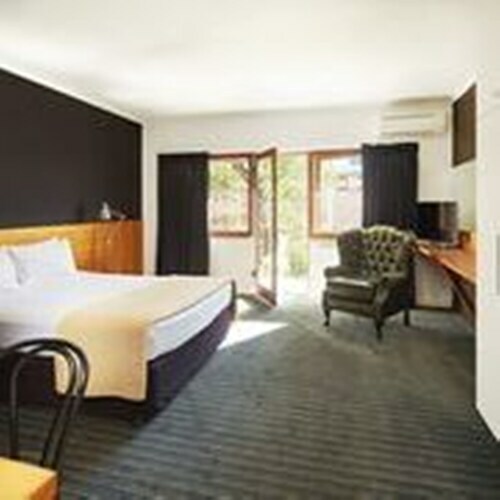 Situated in West Perth, this hotel is within 1 mi (2 km) of SCITECH Discovery Centre and St John of God Subiaco Hospital. Kings Park and Botanic Garden and Sir Charles Gairdner Hospital are also within 3 mi (5 km). Perth City West Station is 9 minutes by foot and West Perth Station is 10 minutes. Located in the heart of West Perth, this apartment building is within a 10-minute walk of Watertown Brand Outlet Centre and RAC Arena. Elizabeth Quay and Hay Street Mall are also within 2 mi (3 km). West Perth Station is 6 minutes by foot and Perth City West Station is 7 minutes. Situated in West Perth, this hostel is within 2 mi (3 km) of Leederville Oval, RAC Arena, and nib Stadium. 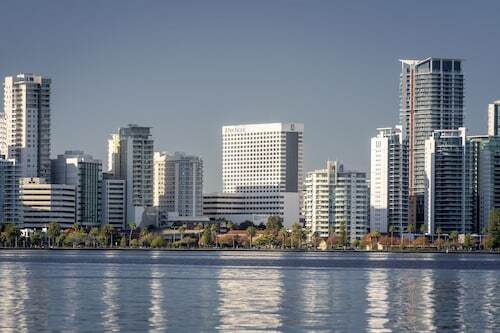 Elizabeth Quay and Kings Park and Botanic Garden are also within 3 mi (5 km). Leederville Station is 14 minutes by foot and Perth City West Station is 16 minutes. Situated in West Perth, this luxury apartment building is within 1 mi (2 km) of Kings Park War Memorial, SCITECH Discovery Centre, and RAC Arena. Kings Park and Botanic Garden and Perth Mint are also within 3 mi (5 km). West Leederville Station is 16 minutes by foot and Perth City West Station is 19 minutes. Just one kilometre from the Perth CBD, West Perth is conveniently located right in the heart of the action. However, it manages to have its own peaceful atmosphere with boutique shops on lovely tree-lined streets. It’s a place to relax within walking distance of Perth’s shopping, food and lifestyle attractions. And since Perth is Australia’s sunniest capital city, you know it’ll be a pleasant walk too! 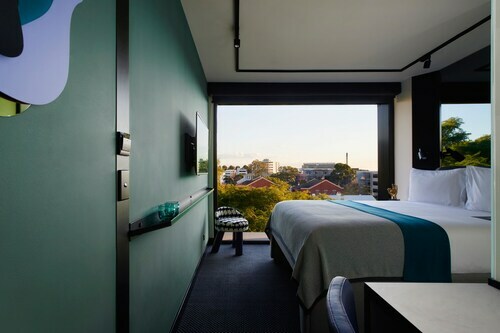 Get a breath of fresh air with our West Perth hotels. With fancy restaurants in the Perth CBD and many nightclubs clustered in Northbridge, a great night on the town isn’t too far from your hotel in West Perth. Take a wander through 400-hectare King’s Park to see sweeping green spaces with over 200 species of plants flourishing in every direction, wide open green spaces and palm trees. While you’re there, wander the treetops on the Lotterywest Federation Walkway, a 40-minute return trip with an arched bridge among the eucalypts. Shopping is a breeze in West Perth with Harbour Town at the edge of the suburb on Wellington Place. Everything from books and fashion to restaurants and cafes is on offer, so get yourself a cup of coffee and browse the bargain buys! If politics is more your thing, take a tour of Parliament House on Harvest Terrace or visit the public gallery when Parliament is sitting. Of course, a visit to Perth isn’t complete without taking a trip to the magnificent beaches. Head to Cottesloe to swim and surf, watch the sun set over the Indian Ocean or check out the spots to eat on the foreshore. Scarborough Beach is another favourite, especially for surfers. Western Australia has over 12,000kms of glistening coastline, so there’s sure to be a beach for everyone. Wot more could you want? 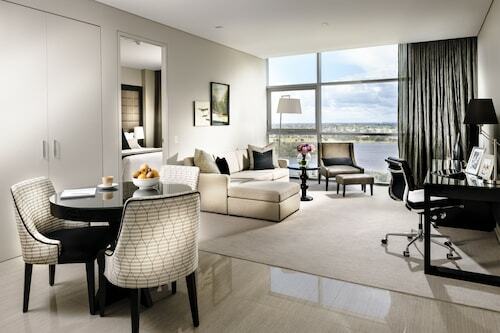 If you’re going to go to Perth, you might as well stay somewhere pleasant, and West Perth is as pleasant as they come. Book your West Perth accommodation with us and experience everything that’s wonderful about this city. How Much is a Hotel Room in West Perth? Hotels in West Perth start at AU$11 per night. Prices and availability subject to change. Additional terms may apply.